This book is designed as a step-by-step tutorial that can be read through from beginning to end, with each chapter building on the last. Each section, however, can also be used as a reference for implementing various camera models, special effects, etc. The chapters are filled with illustrations, screenshots, and example code, and each chapter is based around the creation of one or more example projects. By the end of the first chapter you will have created the framework that is used and improved upon for the rest of the book, and by the end of the book you will have implemented dozens of special effects, camera types, lighting models and more using that framework. 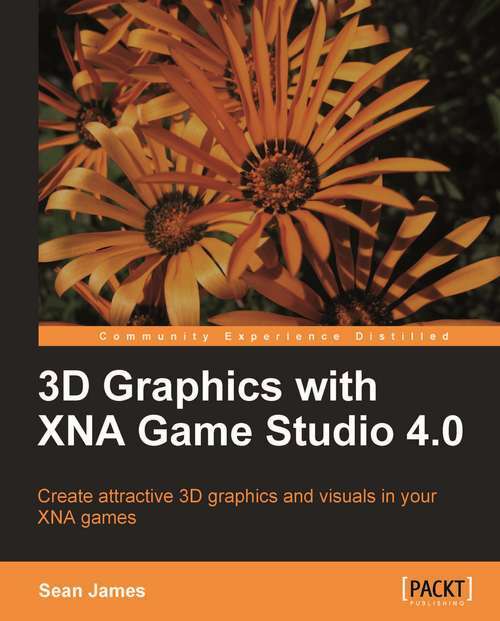 This book is mainly written for those who are familiar with object oriented programming and C# and who are interested in taking 3D graphics of their XNA games to the next level. This book will be useful as learning material for those who are new to graphics and for those who are looking to expand their toolset. Also, it can be used by game developers looking for an implementation guide or reference for effects or techniques they are already familiar with.